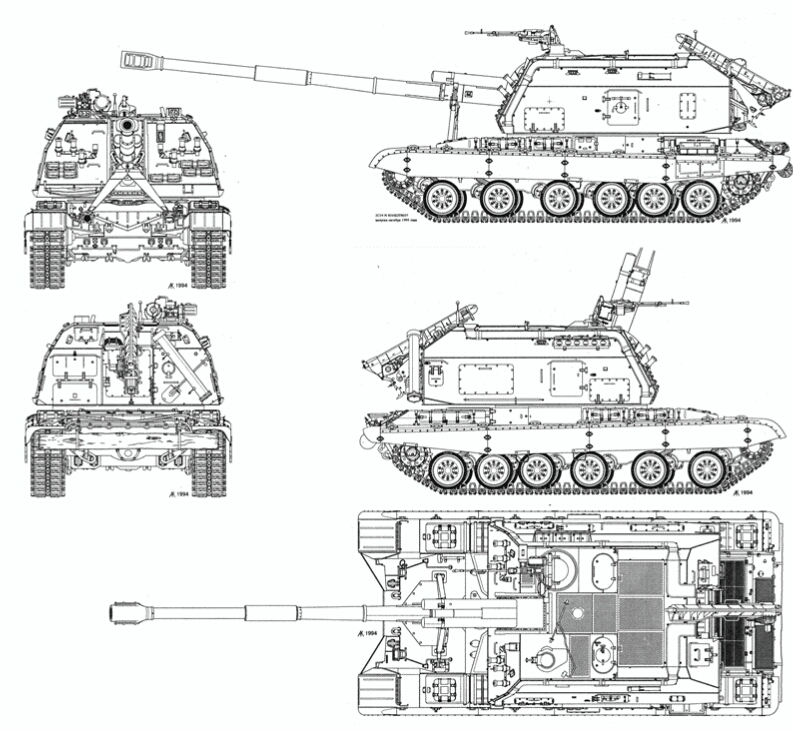 Altank's Reviews: Chapter VIII, The Msta-S.
4. -How to get the best out of it (Role) and How to deal with one (Countermeasures). Patch 1.22 version; last update: 06/08/15. The Msta, after the river, is a modern howitzer designed for deployment either as an unarmored towed gun, or to be fitted in armored self-propelled artillery mountings: current production of the towed model is designated Msta-B, while the self-propelled model is the Msta-S, also known by the GRAU index 2S19. The 2S19 Msta-S self-propelled howitzer is designed to defeat unsheltered and covered manpower, weapons and materiel to division level. 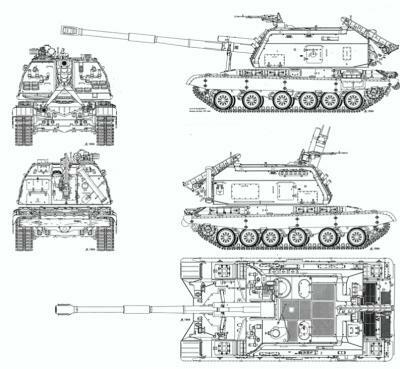 Development of the 2S19 Msta-S started in 1985 under the project name Ferma, the prototype being known as Object 317; it is based on the T-80 main battle tank's hull, but is powered by the T-72's diesel engine. The 2S19 Msta-S entered service with the Russian Army in 1989. 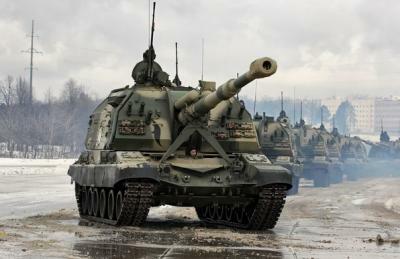 The self-propelled gun is manufactured by Uraltransmash of Ekaterinberg, Russia, which also produced the towed version Msta-B and has developed two new variants, 2S19M with a computerised fire control system and 2S19M1 with a Nato standard 155mm gun. 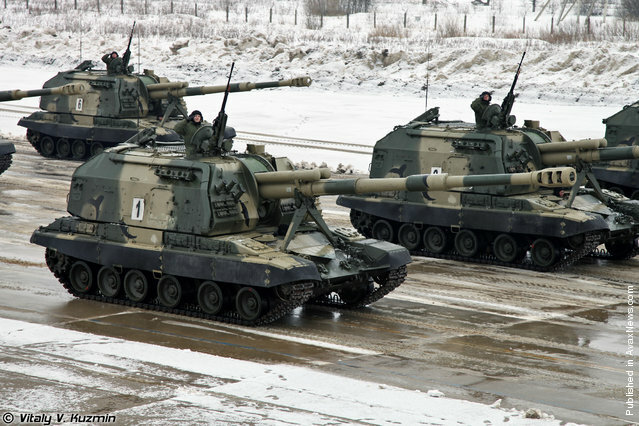 Uraltransmash is also currently developing an upgraded version of the Msta-S for the Russian Army, which is estimated to keep about 150 systems in service. 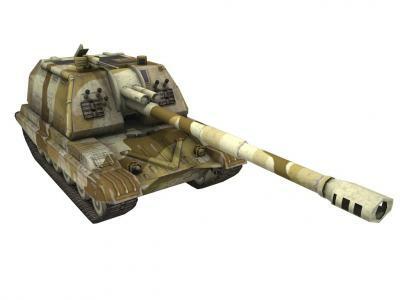 The Msta-S is a Russian mid/high-tier self-propelled artillery, featuring a price of 10000 silver coins (this purchase option is unlocked once reaching rank 44, Captain) or of 620 gold coins (this purchase option is unlocked once reaching rank 40, Second Lieutenant Grade 2). The Msta-S has the second highest level among the self-propelled artillery pieces of the Soviet/Russian tech tree, the highest being the TOS-1A MLRS at level 70, starting at level 47 and reaching level 61. It's also worth mentioning that the highest-tier unit of the Soviet/Russian tech tree is the Black Eagle MBT, at level 71. Hull upgrades: two-tier hull upgrade available. The Msta-S features a two-tier hull upgrade; both of them are required in order to acquire most of the other upgrades and don't change the tank's appearance; as of patch 1.22. Health pool upgrades: five-tier upgrades available. The Msta-S features a five-tier health upgrade. Considering that this SPG's starting health pool is also very high, it doesn't come as a surprise this self-propelled artillery has one of the highest health pool, among all the units, in the whole game. Passive armor upgrades: no upgrades available. Reactive armor upgrades: no upgrades available. Spaced armor upgrades: no upgrades available. Active protection system upgrades: no upgrades available. 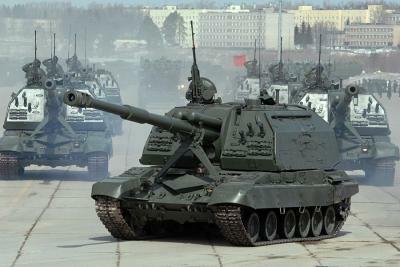 Despite the fact that the chassis of the Msta-S uses many components of the T-72 and T-80 main battle tanks', it has significantly thinner armor: both the hull and the turret of the Msta-S are protected by welded steel armor, which provides enough protection for the crew just against small arms and artillery shell splinters. This artillery system is also fitted with both NBC protection and automatic fire suppression systems. 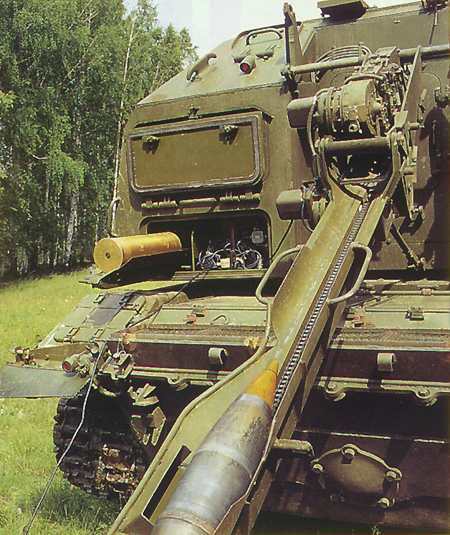 Being a self-propelled artillery piece, the Msta-S doesn't feature any armour upgrade at all: after all it's meant to stay away from the heat of the battle, providing indirect fire support; however, this SPG isn't helpless when it comes to direct engagements against enemy units, at all, mainly thanks to its massive health pool and agility. Main armament upgrades: three-tier upgrade available. The SPG's 152mm/L47 gun is the 2A64, fitted with a semi-automatic loader and fume extractor, manufactured by the Barrikady State Production Association, Volgograd, which produces a variety of large-calibre artillery armament for the Russian Army and Navy. Elevation is from +68° to -3° with 360° traverse; the gun can be loaded at any angle. The Msta-S features a three-tier upgrade of the main gun, which gives a bonus to the damage and a bonus to the accuracy, while, however, giving also a malus to both speed and trasmission. This SPG's damage is very high; however, being a self-propelled gun means that the Msta-S cannot fire standard tank's rounds, but, in particular, only high-explosive rounds. Hence, its damage output is, most of the times, heavily mitigated by the enemy's armour. It's also worth mentioning that the Msta-S' main gun, as said above, has almost no gun depression whatsoever, which makes self-defense fairly hard at close range. However, as we're going to see later, there's a solution to this drawback. High Explosive (HE): five-tier ammo upgrade available. Engine upgrades: four-tier upgrade available. The 2S19 Msta-S is powered by a diesel engine with direct injection and mixed supercharge. It is a high-speed, four-cycle, multi-fuel, liquid-cooled engine. The diesel engine has a maximum power of 574kW to 617kW (780hp to 840hp). The running gear has torsion bar suspension with an adjustable damping system and automatic block mechanism without stabilising spades. Road speed is 60km/h with a range of 500km. This SPG features an extremely high power-to-weight ratio. In fact, the engine is one of the many strong points of the Msta-S: a four-tier upgrade of the engine, makes this self-propelled artillery piece extremely agile and allows it to reach its top speed in no time at all,. The Msta-S can easily outmanoeuvre most of the tanks it faces with relative ease, also thanks to its "compact" size, compared to the other self-propelled guns. However, being based on the T-72 and T-80 main battle tanks, its reverse speed is very low: avoid going backwards when engaging enemies directly, at all costs. Reloading system upgrades: three-tier upgrade available. Ammunition and gun loading, laying and retargeting are highly automated, allowing maximum firing rate of eight rounds a minute with onboard rounds and six to seven rounds a minute with rounds from the ground. A battery of eight MSTA-S can deliver 3t of projectiles on a target in one minute. The laying control system is coordinated with the fire control vehicle. 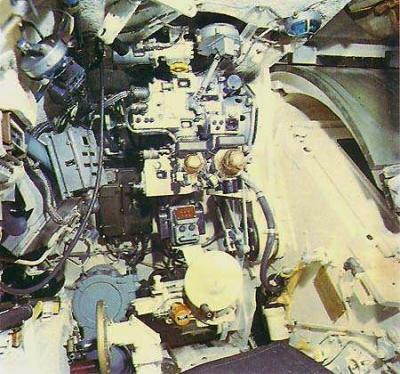 All the onboard ammunition is stored in the turret and a mobile reloading tray allows loading and firing at all angles of laying without needing the gun to return to the loading position. A charge loading mechanism is also provided. The system provides automatic gun loading for projectiles and semi-automatic loading for charges. All the gunner has to do is hold the panoramic sight on the laying point. The commander also has control of the firing and laying equipment. The design of the ammunition rack allows different types of projectiles to be stored in the same rack. The automatic loading mechanism can select the type of ammunition and control the loading and the number of rounds. Used ammunition cases are ejected automatically to reduce the build-up of waste gases. There are separate conveyers in the rear of the turret that allow the loading of ground ammunition. Before the howitzer starts off, the projectile conveyer is folded and fixed on the turret and the charge conveyer is folded inside the turret. A three-tier upgrade of the reloading system allows the Msta-S to achieve an above average reloading speed; this SPG is, therefore, perfectly capable of pinning down enemy tanks as well as successfully engaging enemy units directly, even with very little or no support at all. Turret rotation system upgrades: two-tier upgrade available. The Msta-S features a two-tier upgrade of the turret rotation system, achieving a fairly high turret speed. Being capable of performing a full rotation in less than 11 seconds, this SPG can easily follow enemies' movements, keeping them under constant fire, and outflank enemies at close range effectively. Smoke grenade dischargers upgrades: no upgrades available. Infrared optics upgrades: one-tier upgrade available. Thermal optics upgrades: no upgrades available. Fording kit upgrades: one-tier upgrade available. Floating kit upgrades: no upgrades available. -Very high health pool, making up effectively for the low amount of armour. 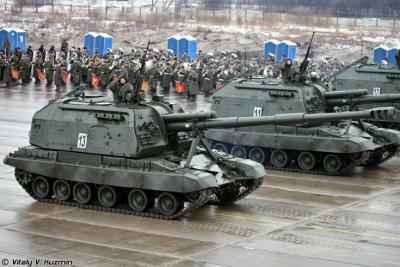 -Compact size, compared to the other self-propelled artillery pieces. -High damage, even though often mitigated by the enemy's armour, and reloading speed, granting nevertheless a good DPM. -Amazing acceleration and agility, allowing to outmanoeuvre opponents with ease. -High speed, allowing to quickly relocate on the battlefield. -Fairly high turret rotation speed, which allows to keep enemies under constant fire. -Complete lack of armour and active protection system, making this SPG very vulnerable to enemy fire. The Msta-S isn't meant to hold the frontline, after all it's a self-propelled gun: it's designed to provide fire support indirectly, and it's very good at doing that. The high turret rotation speed allows it to keep pace with the enemy's movements, pinning them under constant fire, thanks to the good reloading speed. Always pay attention to where the enemy is going, leading your shots by shooting slightly in front of them; within 20/25m from the target you should deal a fair amount of damage anyway, your rate of fire will handle the rest. Thanks to its high speed and relatively compact size, this SPG can also quicky and safely relocate, then find a good position to engage enemies indirectly. It's very versatile in its main role. However, another amazing feature of the Msta-S is its surprising effectivness at engaging enemies directly, thanks to its very high health pool, which allows it to absorb a large amount of damage before going down, and its amazing agility: this SPG can easily outmanoeuvre most of its opponents with ease, while keeping them under fire thanks to its good reloading speed. Also, in this kind of engagements, even when not scoring a direct hit, just by hitting the ground near your foe, you will still deal damage thanks to the HE rounds' splash radius. Even better, HE will never fail at doing damage, regardless of reactive/spaced armour. It performs very well at sniping and defending. Also you can provide a solution to its major drawback, i.e. its poor gun depression, by just keeping reversing: as said above, your reverse speed is very low, so, your aim won't be affected that much; also, and most importantly, the Msta-S will lean to the front, thus giving you the gun depression you need. It's quite tricky dealing with a Msta-S; despite being an SPG, it's not helpless, even when engaged directly, at all: it can be a fearsome opponent if you don't know how to properly engage one. First of all, if this SPG is shooting at you indirectly, try to locate where the shots are coming from, then find cover immediately or try and be unpredictable by making evasive manoeuvres, otherwise you'll see your health dropping very quickly. When engaging one at close range, remember to take the necessary countermeasures to avoid being outflanked, take advantage of its low reverse speed and load HEAT or HE rounds to take it out quickly. Also, take full advantage of its poor gun depression: close the distance so that, unless your enemy doesn't reverse, i.e. doing as said above, the Msta-S won't be able to point its gun at you, especially when driving tanks with a low silhouette. 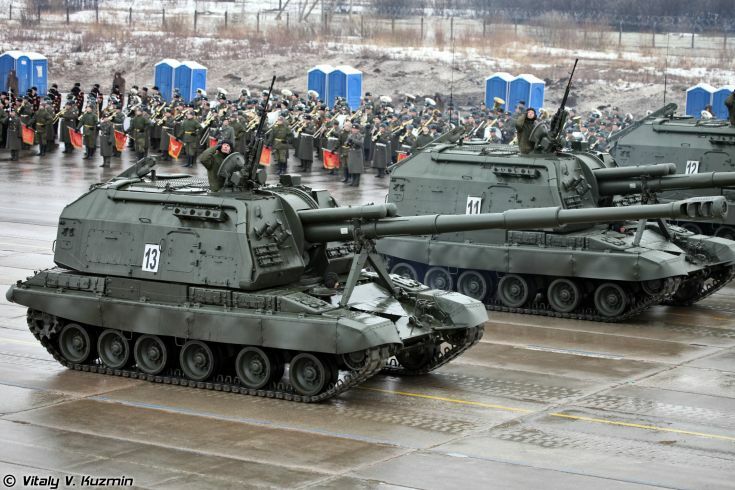 Here I end my review of the Msta-S, Russian self-propelled gun or assault gun? I apologize in advance if something written is wrong and I hope you enjoyed it. If you liked it, another one will shortly follow! Tell me what you think about it in the comments and any advice you may suggest is welcome. If you want to help, contact me via PM. Take care on the battlefield, fellows! Copying/Using any part of this review anywhere else is strictly forbidden, unless my proper authorisation is given. Pashin, Alexander. "Russian Army Operations and Weaponry During Second Military Campaign in Chechnya". Moscow Defense Review. Retrieved 8 March 2014. PandaRoles, official member of the Reviews Team. 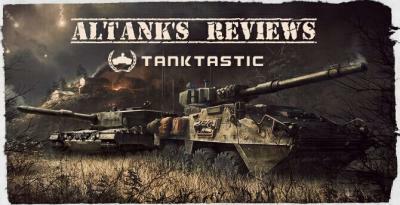 Tank War 2, official member of the Reviews Team. Sharks06, official member of the Reviews Team. Inplainsight, official member of the Reviews Team. And last but not least all of you that read this review! Can y8u pls do review of T-90. Following the release of patch 1.22, the Review has been updated. 2 year bump m8, prob? This tank needs a serious nerf, no joke.